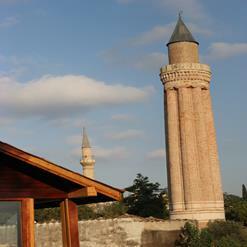 Among 80 towers in citadel surrounding the city of Antalya, only Clock Tower has survived well till present day. It is a significant 19th century architecture which was made out of rough and hewn stone. It is a two storied structure where its upper side is a circular structure where as the lower one is square structure. Though being a recognized architecture in entire city, there are still no anticipations as to what its function was in the past.